The vineyards in the Russian River, Sonoma Coast and Carneros from which we source fruit look beautiful and the weather has been perfect these last weeks with cool nights and warm days. Earlier this week we visited each vineyard and brought along our handheld refractometer to measure the Brix levels of the grapes. The refractometer looks similar to a small telescope. There is a small glass plate that flips out onto which you place a sample of juice by squishing above it a grape freshly plucked from the vine. Then you hold it to the sun and the light traveling through the sample in the refractometer is reflected (refracted?) in such a way that a line shadow is formed separating a dark area from a light area. It is here at the shadow line that the reading is taken. 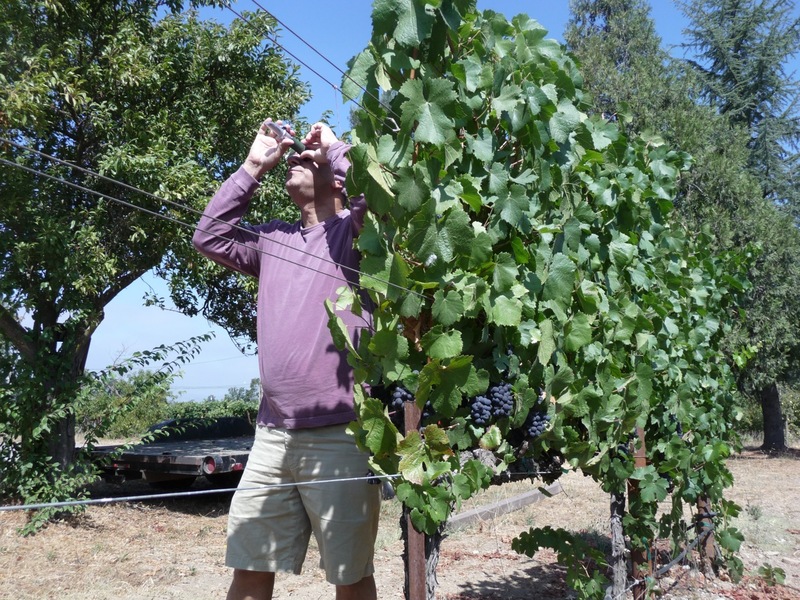 Our measurements at Lauterbach Vineyard in the Russian River Valley were about 20.5 Brix. 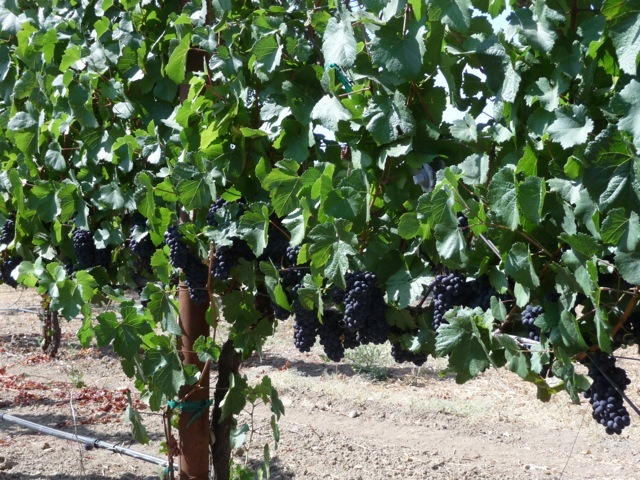 Beresini Vineyard Brix level, in Carneros, is slightly behind at 20.2 Brix. Corona Creek Vineyard, Sonoma Coast, is farther behind, as expected, at around 17 Brix. We shoot to harvest at 24.5 Brix and Lauterbach Vineyard in the RRV will probably be our first grapes to be harvested and brought into the winery in approxiately 2-3 weeks.